A game-changer for smartphone photography. 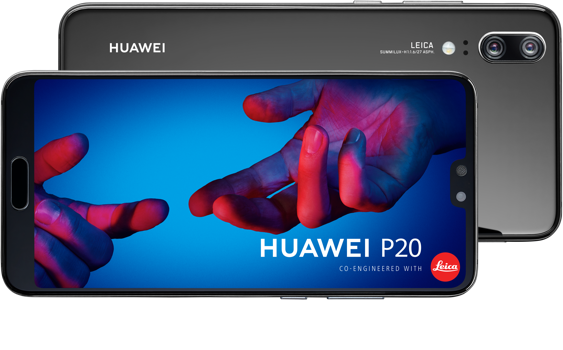 The HUAWEI P20 Pro is equipped with the world's first Leica triple camera, helping you capture the brilliance of the world around you with clear, richly detailed expert quality photographs. With HUAWEI's latest device, you'll love sharing bright, beautiful photos on Canada's largest and fastest network. In full view of the world. The FullView Display comes to life on the crisp, RGBW screen, offering a radiantly bright display to capture and share your favourite moments on Canada's largest and fastest network. Using AI-driven 3D facial modeling technology to follow the contours of your features, you'll turn quick selfies into striking portraits. With intelligent layout suggestions to improve your composition, you'll bring your images up to professional standards with minimal effort and maximum impact. Capturing the moments that matter just got friendlier. Whether you’re a browser, a gamer, a texter or a streamer, we’ve got a plan for everyone. Spend more time capturing life's adventures with a hugely powerful battery that charges safely and swiftly. By incorporating the Dolby Atmos® sound system, HUAWEI's latest device offers crisp, clean audio that packs a punch. The HUAWEI P20 was designed for everyone. Whether your eyesight is limited, you have trouble hearing or have difficulty with dexterity, these fantastic accessibility features will help you get the most of your device. From enabling large text to colour inversion to Google TalkBack, the P20 and P20 Pro can be enjoyed even if you have trouble seeing the screen. From easy volume adjustment settings to disabling all sounds to enabling on screen captions, the P20 and P20 Pro are great devices for people with limited hearing. For people with limited dexterity, the touch & hold delay feature lets you set the recognition time for touching and holding the screen. Two incredible devices. Discover what's right for you. The HUAWEI P20 Pro beats the competition taking the number one spots in both Photo and Video rankings achieving DxOMark’s highest overall score of 109. The revolutionary camera boasts a 40MP RGB sensor that pre-focuses on a moving object, resulting in sharp, clear action shots that are blur-free without having to slow down. The P20 Pro houses a hugely powerful battery that leverages HUAWEI SuperCharge to give you over a full day of use on just a 30-minute charge.